"Did I ever tell you about the time I came from an ancient civilisation...?" When the alien Fog Empire arrives on Earth, it immediately searches for a suitable sacrifice to feed its monstrous offspring upon awakening. They select Kana Kimura, a young girl camping in the forest with her brother Kouji Segawa - an environmentalist reporter investigating the pollution of the lake. 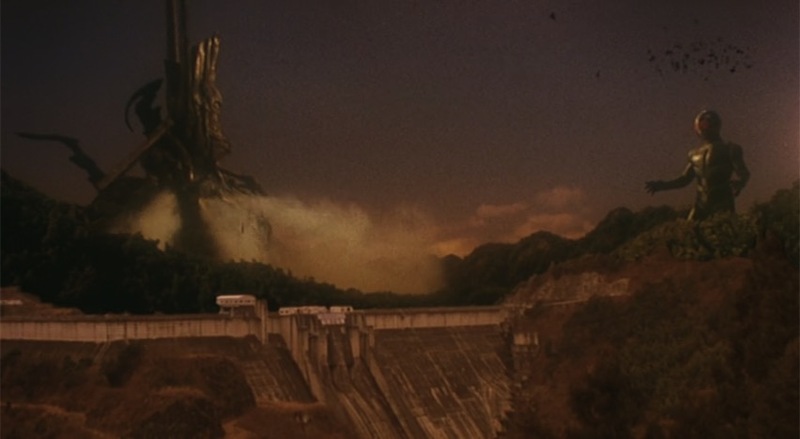 The Fog Mother's three eldest children capture Kana, leaving Kouji to die at the bottom of a cliff. However Kouji is resurrected by the Earth Spirits, infusing him with the power needed to fight back against the Fog Empire and save the planet. 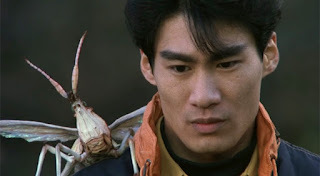 Guided by a talking grasshopper named Berry, Kouji uses these powers to become Kamen Rider J and sets out on a quest to rescue his sister and protect the Earth from this alien threat. "For the last time I am not ZO!" With a running time of only 45 minutes Kamen Rider J is not a film that has time to mess around. As such, the plot as a whole is a pretty simple affair and very much a case of "here are some villains, here is the hero, now let's save the day." 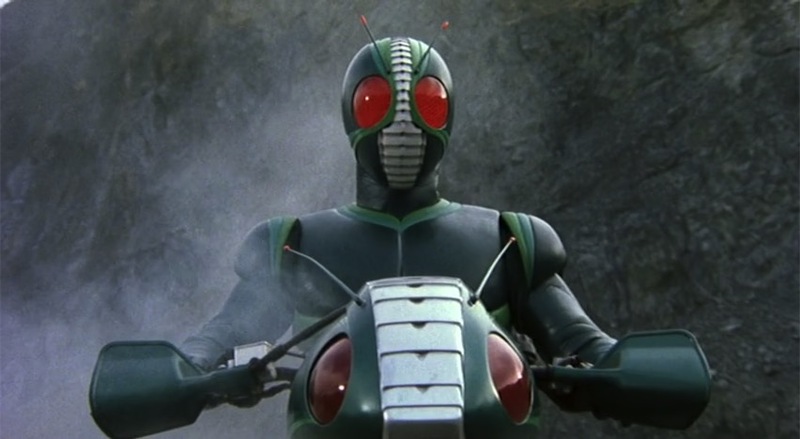 In most cases this would be a negative as neither the story or characters would feel properly developed, but Kamen Rider J uses this simplicity to its advantage in order to get something standalone and coherent in a short amount of time. It (most likely rightly) assumes that this won't be the viewers' first experience with Kamen Rider, discarding as much preamble as possible and then getting any left out of the way with a quick narrated segment at the very beginning. Of course this doesn't change the fact that the characters are all wafer thin and could have their personalities summed up with a single sentence, but unlike Kamen Rider ZO this cast doesn't feel like they actually need to be anything more than they are. They're perfect for the story Kamen Rider J is trying to tell, and while more would have been nice the film doesn't feel like a lesser production without it. Of course with Keita Amemiya in the director’s chair the one thing Kamen Rider J can promise you is excellent visual effects. Created in the period of tokusatsu history where CGI use was still fairly minimal, J is far more dependant on practical effects instead. 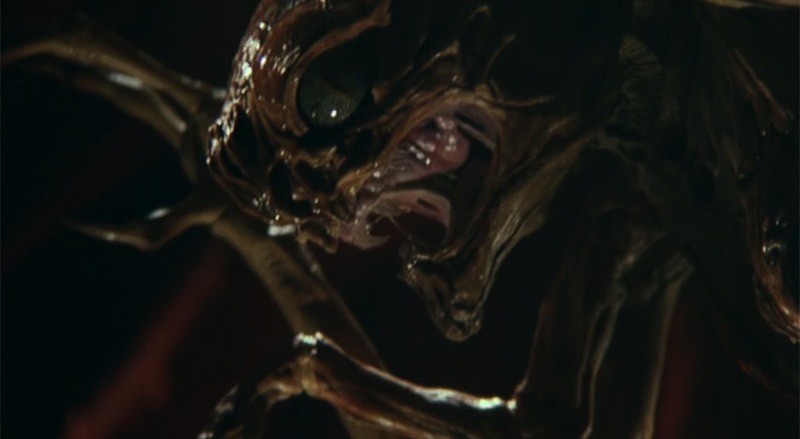 The suit design of the Fog Mother’s eldest children (Garai, Zu and Agito)’s monster forms is excellent, though the true highlight of the film being the various forms of the Fog Mother (presented in typical Amemiya nightmare-fuel fashion). J himself however could be seen as a little bit disappointing due to bearing such a close similarity to his predecessor. 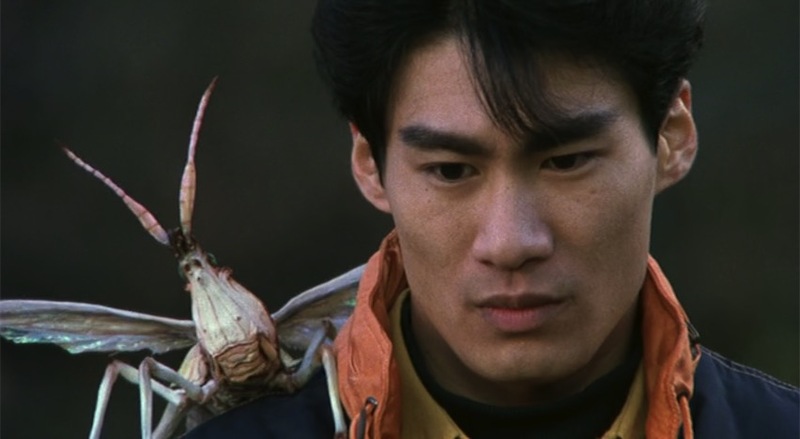 When placed next to Kamen Rider ZO the differences become far more apparent, but it doesn’t change how similar they are despite supposed to being wholly unrelated. The upside is that it’s a great, organic looking design that really fits an environmental-based rider like J. As well as also having his own matching bike (the J-Crosser), the suit also has some other nice little touches like revealing torn, fleshy muscle underneath when J is clawed at or bitten by his opponents. One other bit of trivia: although the J costume doesn’t have an obvious belt, Kouji still transforms using one – technically not making him a “beltless” Rider like ZO or Shin. Then it all gets a bit Ultraman in the final act, as J performs the act that most only remember him for these days - growing to giant size to battle the Fog Mother head on - an enormous battleship that's both technological and organic. As an incredibly unique sequence for a Kamen Rider production it's no surprise that even Toei themselves seem to only dwell on this moment, and it offers an excellent change of pace from the smaller scale fist fights both the film and the franchise as a whole had to offer prior to this. That excellent miniature work seen in Super Sentai's various mecha battles is present and correct here, though having an actual humanoid (as opposed to a boxy robot) doing the fighting adds an extra level of fluidity to the whole thing. Though perhaps not necessarily the most action-packed moment of the film, it certainly feels like its grandest moment simply because it’s so different to what’s usually seen in this specific franchise. Rider kicks will always have their charm, but who doesn’t want to see one performed by a Rider the size of a mountain? 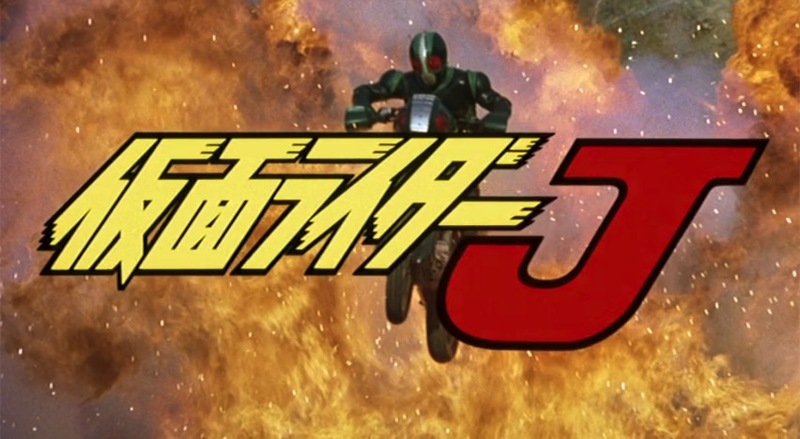 Kamen Rider J isn't a ground-breaking piece of Kamen Rider fiction by any means. It does however know exactly what it needs to be and pulls it off without a hitch. Unlike its predecessor films it is neither overblown or underdeveloped, aiming for a very basic “good versus evil” tale that perfectly suits its fleeting running time. Instead all the effort has been poured into making the film look as good as possible, combing some great fight sequences with excellent practical effects and memorable costume design. These days J might be a Rider known only for growing to giant size, but check out this film and you’ll find there’s quite a bit more to love about him as well. Solid entertainment at its very best. I personally found ZO much better than J, which to me fell apart during the second act and featured villains who lacked any kind of presence.